Jim Shelton: In my first few weeks on the job, I’m making it my mission to listen to perspectives on education, as it is and should be, from as many people as I can – students of all ages, teachers, novice and award-winning researchers, community stakeholders, entrepreneurs, policymakers and cab drivers. Listening to those “in the work” has always taught me so much, and will continue to be an integral part of how we will ensure we do our best work. Sometimes the take-aways from these conversations sound obvious. For example, “Great schools do not exist in a vacuum.” Or, when talking about personalized learning, “There is little more personal than the relationship between a great teacher and her students.” Yet, these almost clichéd understandings are often understated in our conversations about education innovation and transformative learning, so they are important reminders for me. Last Friday, I received a powerful reminder from the conversations I had during my visit to a summer school program at Gestalt Community Schools in Memphis, Tennessee. 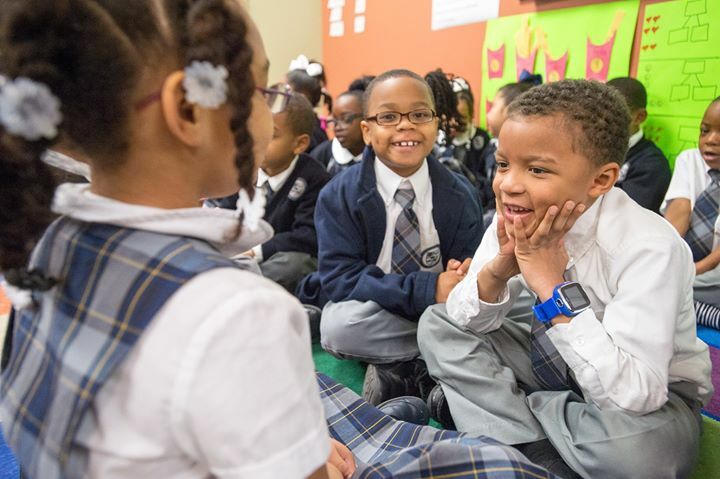 Across the country, many communities are tapping into the connections among city services, community organizations, schools and students and their families to ensure everyone is working together for student success. Gestalt takes the idea of being woven into the fabric of the community one step further with their goal of building better communities through education. In Hickory Hill, a neighborhood in Southeast Memphis, Gestalt is redeveloping 43 acres of blighted property to create a community anchored by high-performing middle and elementary schools. This is an inspiring endeavor. In Uptown Memphis, the CDC has already developed houses around the original Humes Preparatory Academy campus where I was able to meet several graduates who are now in college. They shared how important their experiences growing up and going to school in this environment have been for them. What impacted me most during this trip were a few examples of the dedication the teachers and staff bring to their roles: listening to Ms. Davis and other teachers talk about how they used data to build relationships with their scholars; hearing these teachers and their community partners share their “whatever it takes” approach to supporting students; engaging Yetta, Gestalt’s co-founder and academic leader, on tiered intervention models for children with emotional needs; and witnessing Gestalt’s co-founder and leader, Derwin Sisnett, carry a young crying boy who clearly needed more emotional support than medical attention. Together, these experiences brought home the many dimensions that make up the “person” in personalized learning and what we must be prepared to consider if we hope to create truly transformative learning experiences and environments.